Moths are both dangerous and annoying. They’re dangerous in the sense that they can contaminate your home with their feces and white cocoons. When these elements come into contact with food, they can lead to allergic reactions and, in extreme cases, intestinal diseases. They’re annoying in the sense that they fly very fast and erratically, eat clothing and food, and leave larvae behind (which most people can’t detect with the naked eye). But what are you supposed to do about them? Moths seem to multiply and killing them one at a time doesn’t do much good. While there’s no perfect solution, there are a number of strategies and techniques. In this article, we’re going to look at some of the more effective options so you can get the best results possible. One of the worst things about moths is they can spread pretty rapidly. You can move from just a few moths to dozens (and even hundreds) of moths in a matter of days. Not only will they reproduce but they can attract other moths from outside. 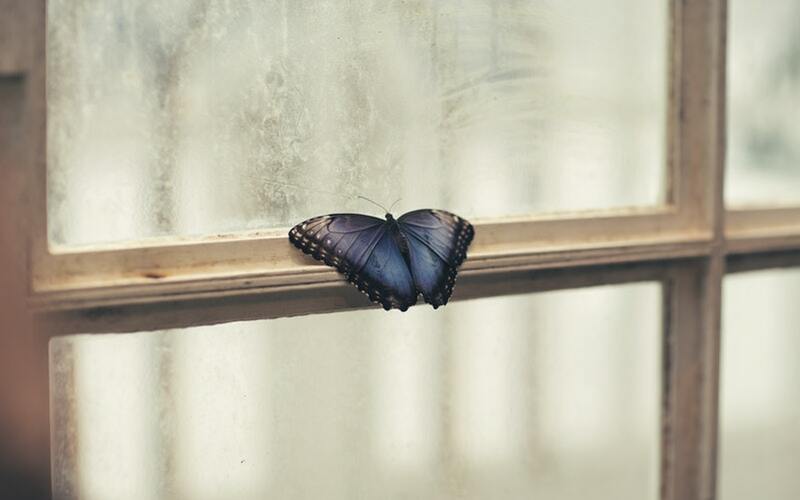 If you want to stop your moth infestation at the source, you need to start by making sure you’ve sealed obvious points of entry into the home – including gaps and holes around windows, exterior doors, and attic doors. Moths lay eggs wherever they can. If your home has carpet, there’s a good chance they’ve dropped some of their larvae here. That’s why it’s a smart idea to carefully vacuum and wipe down everything in the home. Now that you’ve done your best to seal off your house and kill any larvae that’s been laid, you can focus on killing the moths that are already inside. While there are plenty of methods – and we’ll discuss some more of them in the following points – it’s ideal to start with a reputable moth killer product. These products are specially formulated for moths and will produce better results than the homemade products you see on blogs. If you know the exact species of the moths you’re dealing with, you may also want to invest in some pheromone moth traps. Each species responds to specific pheromones, so be sure to purchase the right type of traps and read reviews to see what sort of results other customers are getting. Once the moths have been killed, you can shift your attention towards keeping them away. There are a number of options here, but you may consider natural repellants – such as dried lavender, cloves, rosemary, mint, and cinnamon sticks. You don’t want to put off your moth problem for very long. What starts as a minor annoyance can turn into a full-blown problem in a short period of time. By addressing the issue correctly the first time around, you can avoid a recurring issue that drains your resources and drives you crazy.